Order your Sailor Leather Zip Pen Case 5 Slot today from FahrneysPens.com. Fine Pens, Refills & Luxurious Gifts – great prices & fast shipping. A Sailor pen case for Sailor pen lovers! 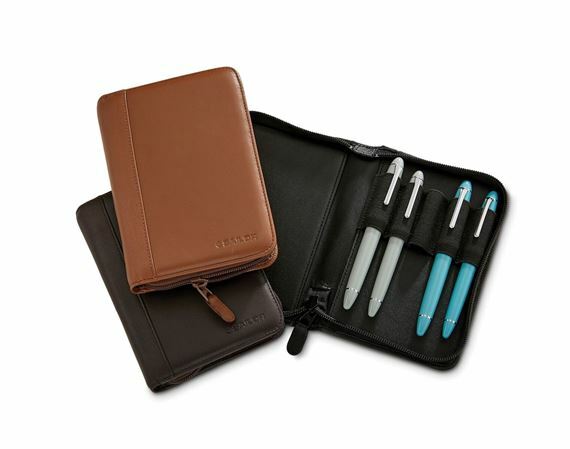 Genuine cow hide leather case with zip closure holds up to five pens. Its wide elastic bands secure every size of Sailor including the giant King of Pen. Measures 4.75" x 6.7”.